Born in Jerusalem in 1970. Oren has a B.A. in Business Management. 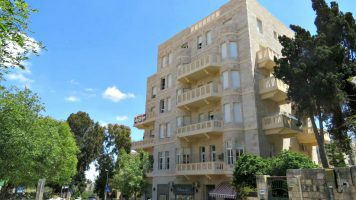 Since 1995 Oren has established real estate experience which includes, among others, specialization in assets located in prime Jerusalem neighborhoods, expertise in local investments in the following categories – land, commercial, properties, yield properties, hotels, and developments. Oren also deals in overseas investments, in Europe and the United States. Tomer Ohev Zion (age 40) is an owner and CEO of Century 21 Jerusalem for the last 10 years. Tomer is married to Galit and they have 3 children. Tomer has a B.A. in Economics and Business Management from Ariel University and a B.Sc. in Software Engineering from Hadassah College, Jerusalem. Since 2004, Tomer has established experience in the Israeli real estate market, specializing in Jerusalem’s historic neighborhoods. Over the years, he has acquired expertise in luxury properties and catering to foreign clientele. In addition, Tomer also offers consulting services to entrepreneurs seeking opportunities in the residential real estate market in Jerusalem. 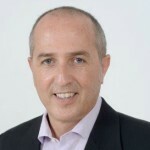 Dror Ohev Zion (age 54) is the founder and an owner of Century 21 Jerusalem. Dror has an M.A. in Business Management and a B.A. in Economics from the Hebrew University, Jerusalem. 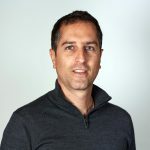 Dror has been active in the real estate field since 1988, and over the years has developed an expertise in the field of residential real estate in Israel and abroad. 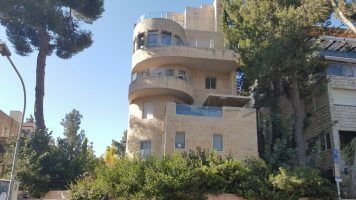 Until now, Dror has been involved in the marketing and sale of thousands of housing units in dozens of neighborhoods all over Israel and in several projects in Europe.